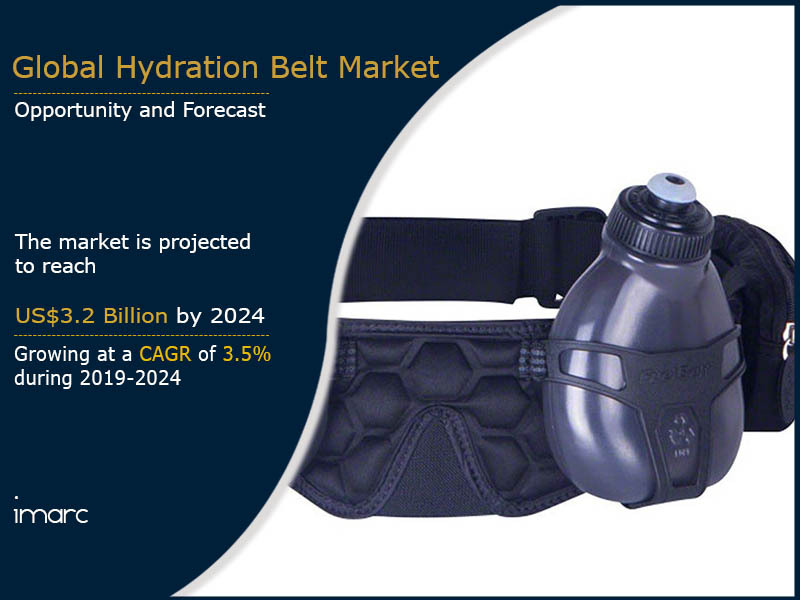 The global hydration belt market was worth US$ 2.6 Billion in 2018. A hydration belt refers to a gear designed for athletes or runners which helps them to carry water and remain hydrated during outdoor activities such as cycling and running. The human body eliminates water at an alarming rate while working out or training which can lead to headaches, muscle cramps and syncope. As it can be extremely inconvenient to carry water bottles around, hydration belts meet the requirements of users without distracting them from their training. Moreover, these belts are hassle-free, convenient, comfortable, light-weight and pocket-friendly. Due to these advantages, hydration belts are popular among professional runners and cyclists who regularly participate in marathons, trail running and triathlons. Additionally, with the escalating sales of fitness gears across the world, the demand for hydration belts is gradually gaining traction. Growing awareness about the health benefits associated with running, jogging and cycling among people across the globe is contributing to the market growth. Apart from this, manufacturers are incorporating new techniques to improve the functionality of hydration belts. For instance, these belts now offer additional utility with extra or detachable pockets to carry accessories. In addition, manufacturers are utilizing lightweight materials for the manufacturing of these belts as well as designing leak-proof variants. Furthermore, increasing investments in research and development to improve the basic aspects of hydration belts, such as durability and comfort, are anticipated to provide a thrust to the growth of the market. On account of these factors, the market value is projected to exceed US$ 3.2 Billion by 2024, exhibiting a CAGR of 3.5% during 2019-2024. Based on the product type, the market has been segmented into with-bottles and without-bottles. Based on the distribution channel, the market has been segmented into super markets and hyper markets, company outlets, specialty sports shops, online and others. sporting goods stores currently represent the biggest segment. Based on the end-use, the market has been segmented into sports, military and others. The competitive landscape of the market has also been examined with some of the key players being Amphipod, FuelBelt, Nathan Sports, Ultimate Direction, CamelBak Products, Decathlon, Fitletic, Salomon and The North Face.